Disclosure: This post was created in partnership with Flexispot. As ALWAYS all opinions in this story are my own. 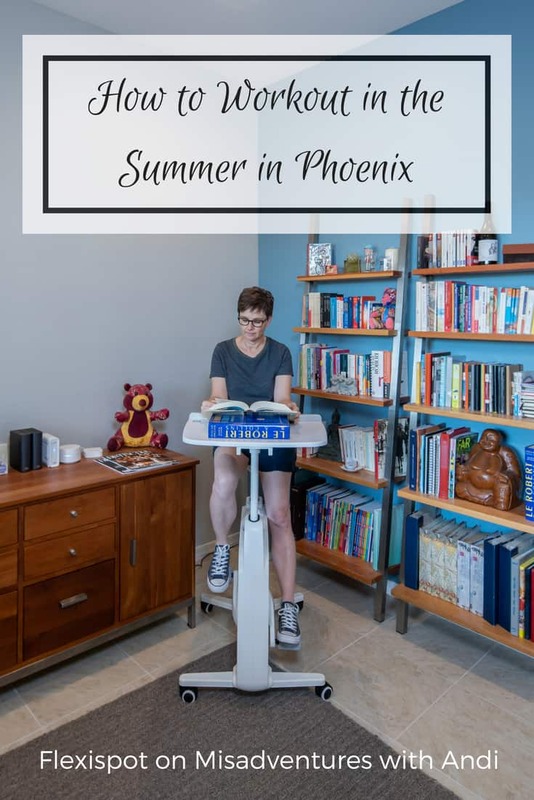 Earlier this summer I wrote about things to do in the summertime in Phoenix (oh and I also talked about the city’s best ice cream too. Do not forget these 7 essential items if you come to visit). Now let’s talk about exercise. Last year I made a big lifestyle change. I started a low carb diet and began to regularly exercise. The result? I lost 40 pounds in 6 months and have kept it off a year. I have energy and feel great! I’ve never been one of those gals who heads to the gym or runs a marathon, I’d really love to be, but I’m not. Our adventurous lifestyle means that we get in some hiking and getting in many, many kilometers on the cobblestoned streets of Paris. 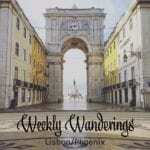 But on a regular basis, we rely on near-daily walking. I’d like to say I’d swim, I grew up being an avid swimmer on swim teams, etc. but these days my pool time looks like this. 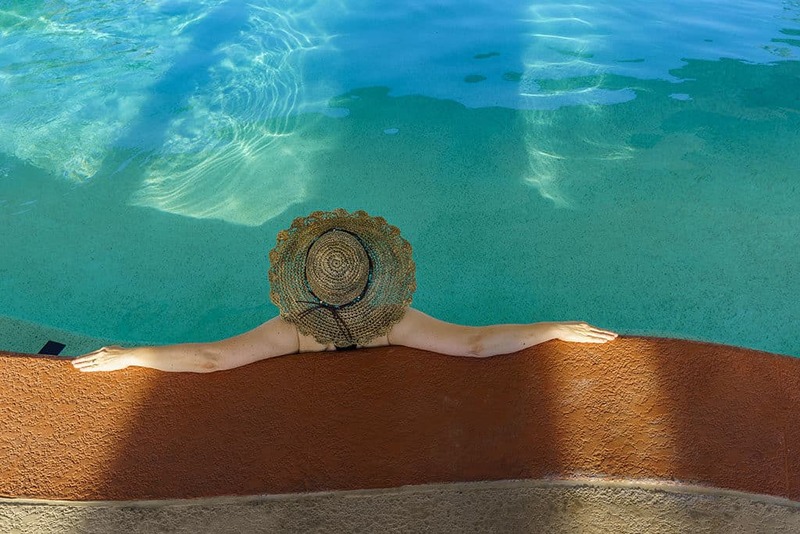 Hanging out at the end of a workday or on weekend mornings wishing my community pool served beverages. Point is, I’m not doing laps! 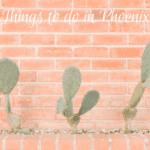 We made it through our first summer in Phoenix last year basically by ignoring it. We were on a schedule where we were getting up at 5 am taking a walk, hitting the pool, and the rest of our day was spent house-hunting. And then house-buying. And then house-planning. Summer just sort of slipped by unnoticed except the 2 days of hell when our rental house A/C broke down. 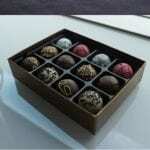 I started my new job after a 2-year sabbatical and before I knew it, it was Christmas! This summer has been a whole different story! We’re all settled into our new house. I have a regular home office (after a shared space in our home in Berkeley and like no space while living in the RV) where I work remotely 8 hours a day, 5 days a week. Mr. Misdaventures and I have a regular routine which is exactly the time you notice the little things. Like how freaking hot it is outside. We wake up early to go for walks, but it’s already hot! We walk from our air-conditioned house into a heat wall. And now that it is also monsoon season, it’s humid too, yuck! So how do I get in regular exercise? My new best friend. The FlexiSpot Desk Bike! This magical instrument of torture (kidding) showed up on my doorstep and basically unfolded itself in about 3 steps. (I was so glad not to have one of those “IKEA arguments” you know the ones when you are trying to put together something ridiculous with your spouse?) It was assembled in a minute! And I was riding it within 10 minutes of delivery! I do a lot of video calls so I haven’t quite worked my way up to riding the FlexiSpot during one of them, but I do ride it between calls when I am working on a document, listening to podcasts (work ones that I have to edit and write show notes for, not leisurely podcasts – I’m working people!) or listening to company meetings. I ride the bike every few hours to get in some exercise and circulate the blood while working. I also get on it for about 30 minutes during my lunch break and work on Misadventures with Andi stuff. Sometimes after work when there is a monsoon threatening (so I can’t go to the pool) I just get on it and read a book. I’ve just finished the hefty Barkskins and it was far easier to lay it on the FlexiSpot’s table than to hold that 700-page sucker up! This little gem has made living life in the desert bearable. I can get my daily exercise in without going out into the oven, and I can be productive too! You can see that it is on wheels and it is super easy to push around, although my house is all tiled with area rugs. It is very autonomous, nothing to plug in. It is easy to clean, I chose white (it comes in black too) but it hasn’t been an issue with wiping it down. I bike with shoes or slippers but you could also do it in bare feet. It is sturdy and convenient and I am loving it! I don’t live in a region where there is a lot of snow or rain (duh, the whole point of this blog post) but I have to imagine that in the snowy winter (or a rainy one like the 5 months we spent in Portland) this will be equally as fabulous for you to have! How about you? 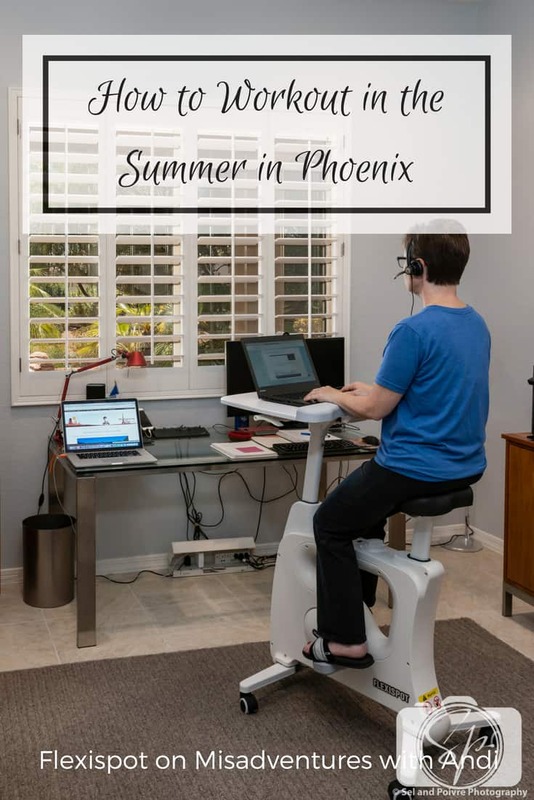 Have you tried the FlexiSpot Desk Bike? Do you live in an area that makes it difficult to exercise outside? Share what you do to get your exercise in. 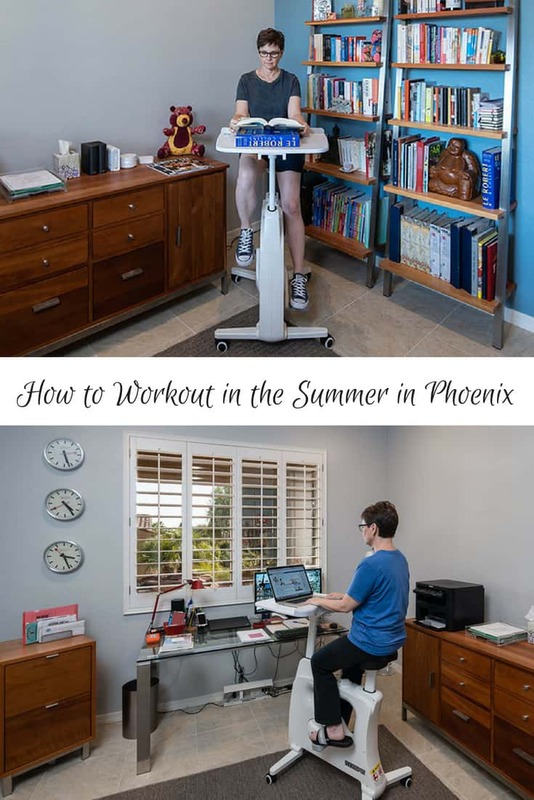 This is a great way to exercise without dying from the heat! 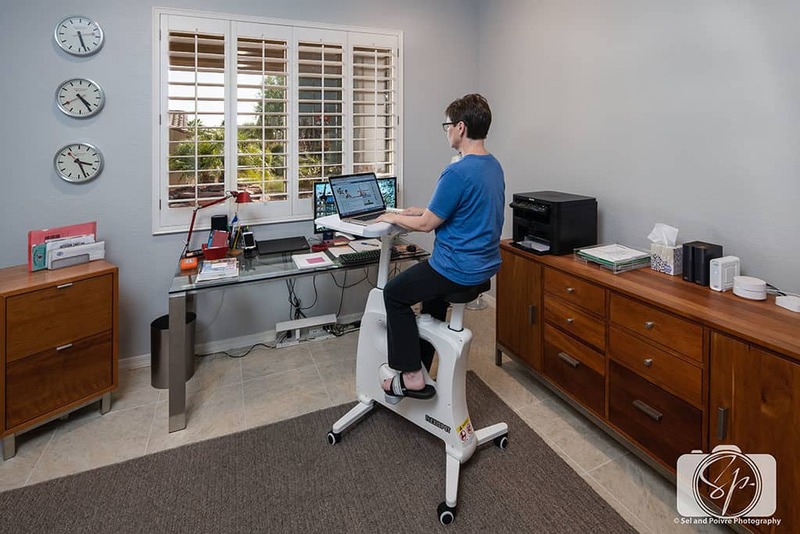 I’d love to try a bike desk . . . you don’t even have to put in much effort to burn a ton more calories than you would just sitting there! I could probably do this indoors stuff, but I was just in Nevada and it is HOT! No way could this cold climate girl head outside to workout, lol. Wow, that FlexiSpot Desk Bike is really gorgeous. You can still do your work while making yourself fit. Oh wow. This is our kind of exercise as we really have no time to get out of the house. My sister and I are working at home and we’ve been looking for exercise tool like this. I have a friend who recently moved to Phoenix. It has been interesting to see her see adjust to the blazing summers. This looks great! I love to be able to do two things at once. Right now I’m walking and working at the same time! I live in Florida where it is AWFUL hot! This is a genius product I would love to have! 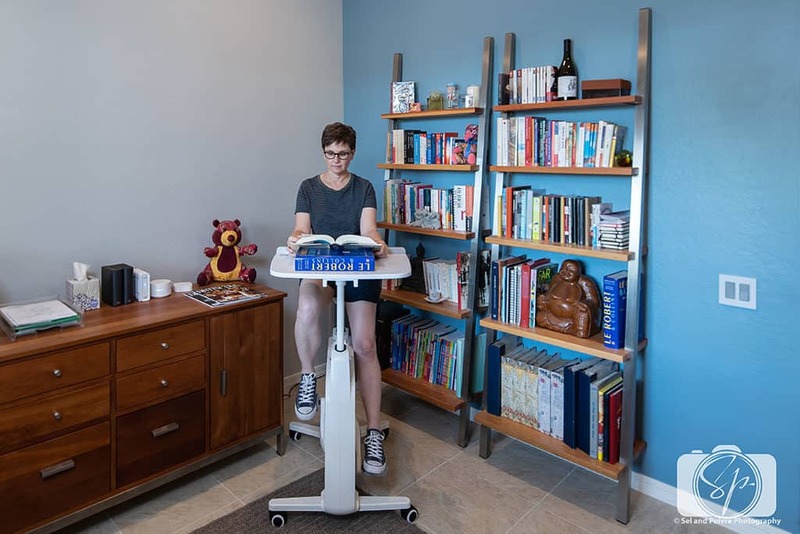 That FlexiSpot Desk Bike is amazing. It’s like hitting two birds with one stone – you work and exercise at the same time. I want one. 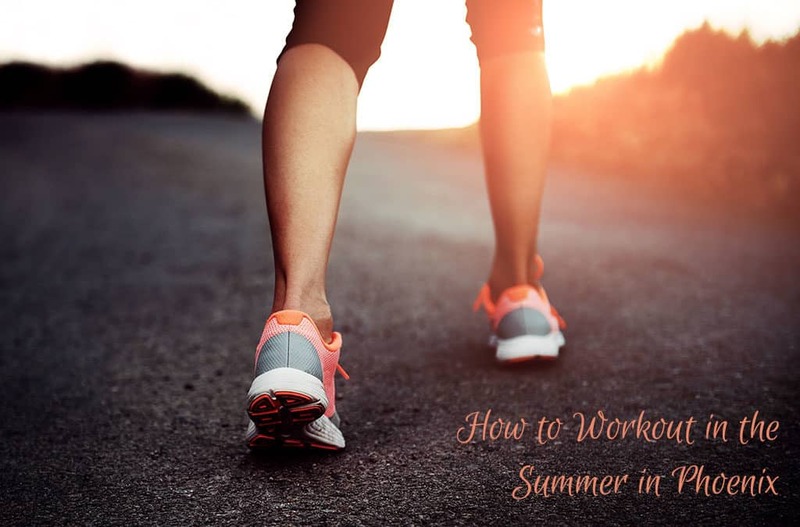 I am so agree that during the summertime it is so difficult to find the right weather conditions to do some exercise. That’s why this could be the best solution!